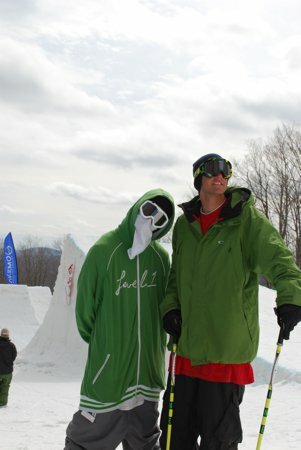 Setting aside the baby monster analogy,&nbsp;I will now talk literally about skiing. 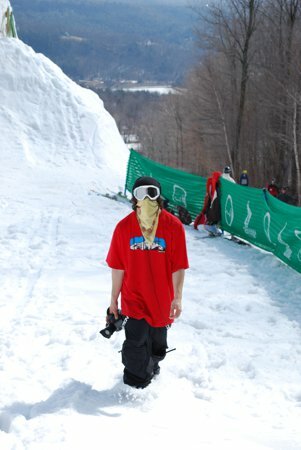 14 skiers were invited to session this booter &ndash; Dale Talkington, Dr. Hurricane Holson PhD MD (who was sadly sidelined with a tweaked wing), Timzilla Maney, Alex and Max Gorham, Graham Bunt, Matty B, Sean Kennedy, Peter Engen, Ryan Anderson, Jeremy Peterson, Bill Giuliano, Alex Buller, and Ian Chompton. 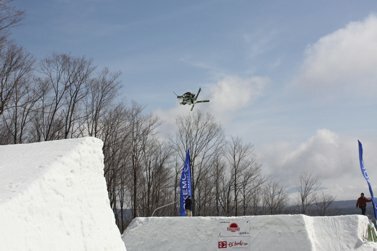 Some you&rsquo;ve heard of, some you&rsquo;ve not&hellip;but that is what is so sick about a sneaky East Coast session &ndash; it might not be your typical top ten list of finishers from a major Open event; it&rsquo;s not the same names you&rsquo;ve reading about in the JOSS updates; most of them might even buy their own skis; but keep your eyes peeled for some of these kids &ndash; they&rsquo;re coming up and they&rsquo;re coming up large! 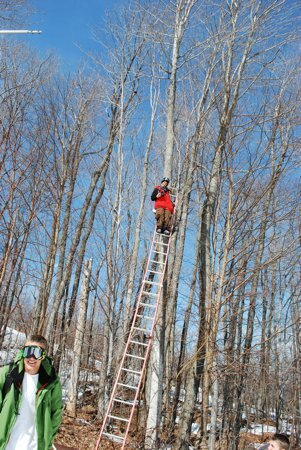 I&rsquo;d like to take a moment to say big respect to Alex and Max Gorham, who drove down from Stowe for Day 1, a dark day with a stiff headwind. 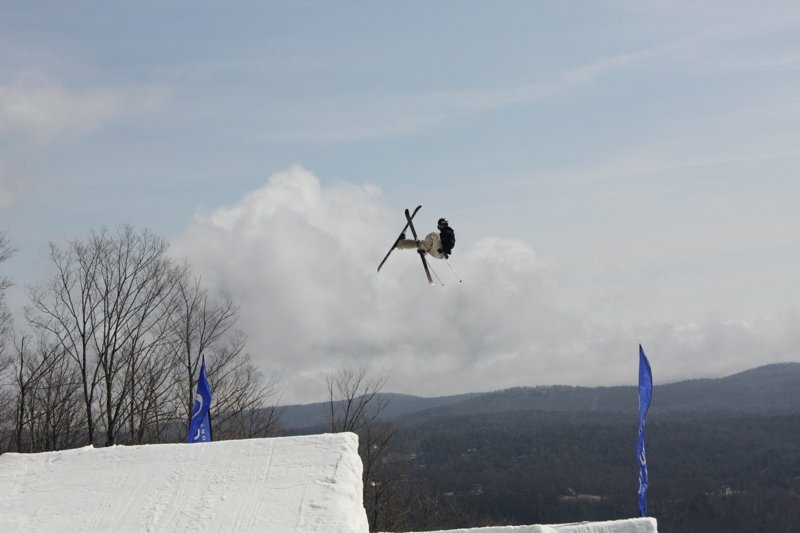 The takeoff was a bit of a pond-skimmer that day, too. 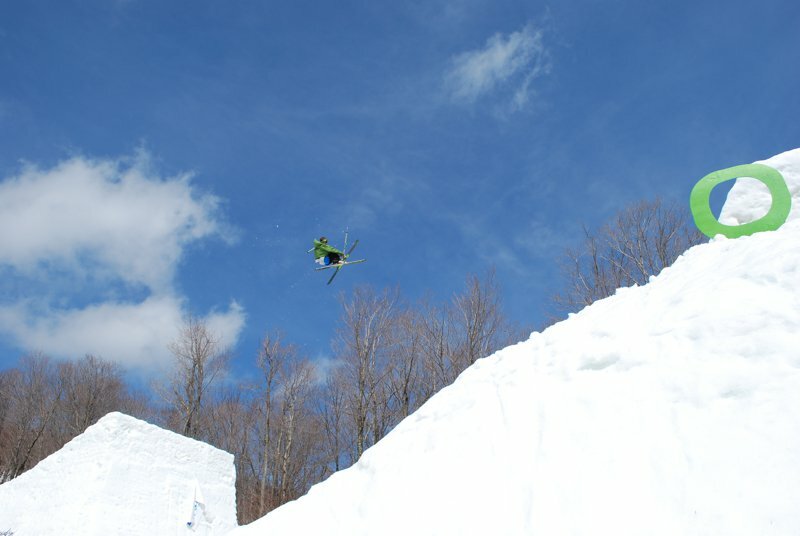 What this added up to?&nbsp; A few 360&rsquo;s, a few snowboarders getting broke-off on the knuckle, and the Gorhams heading back to Stowe. 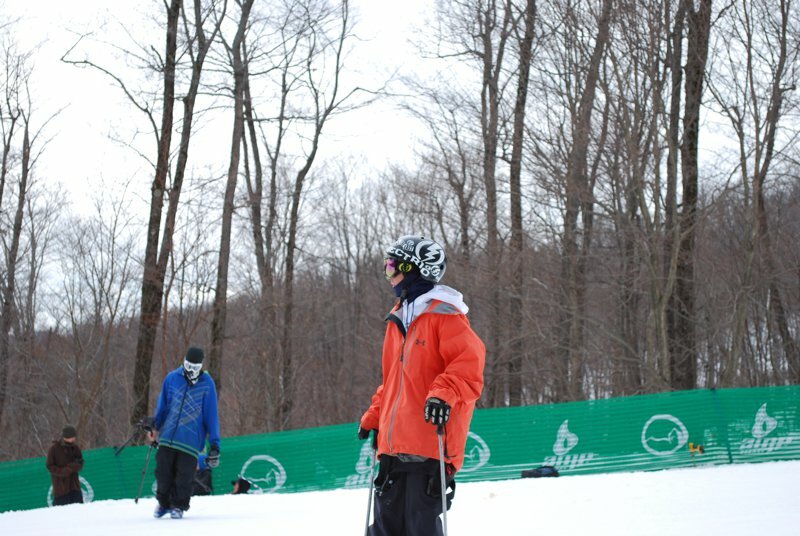 We missed you guys on Day 2&hellip;you boys kill it. 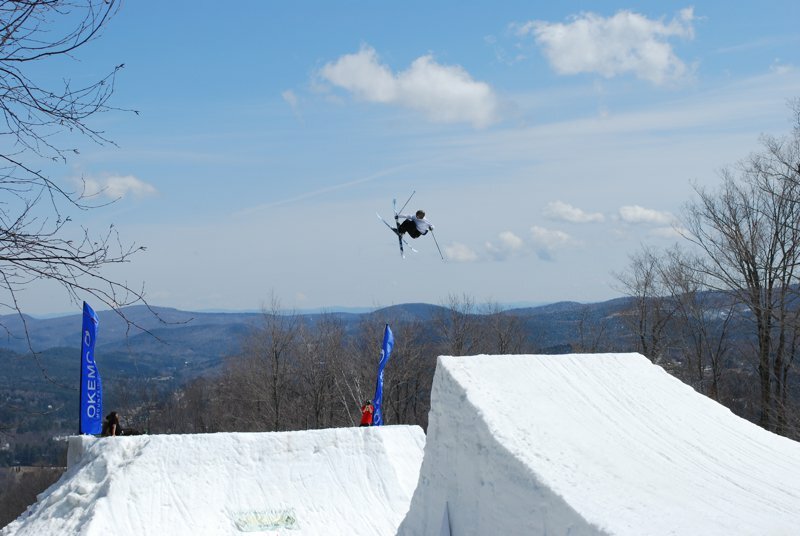 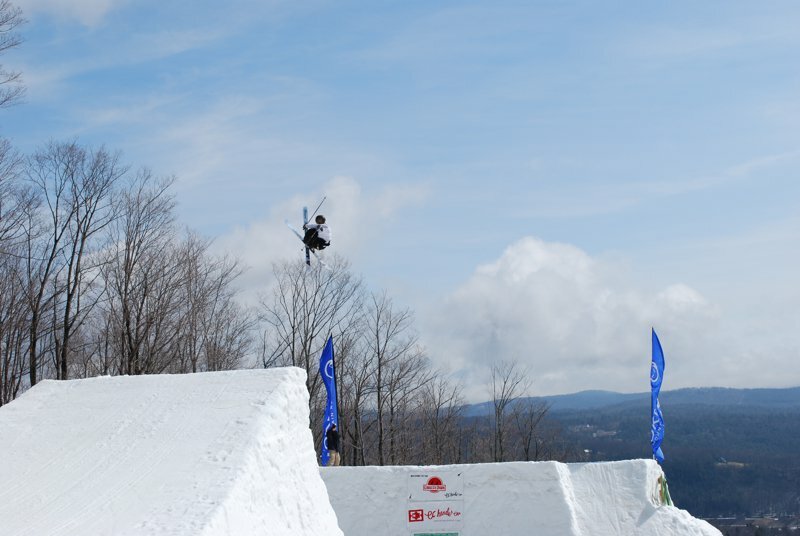 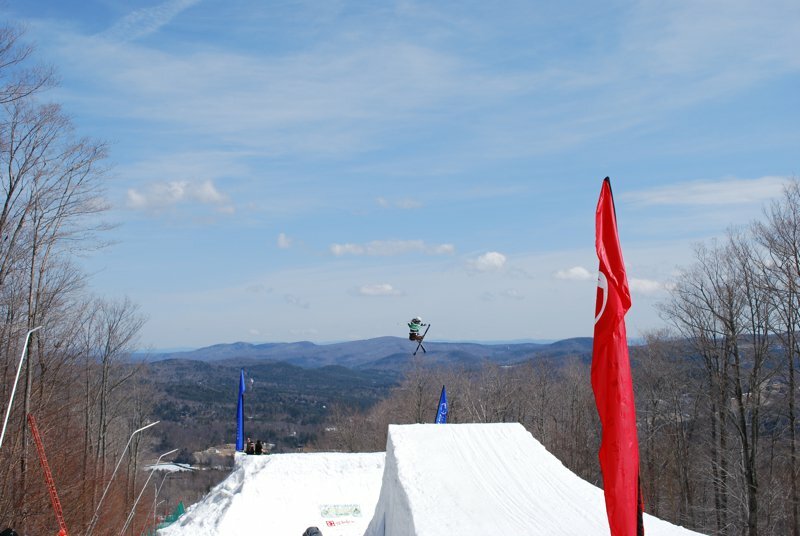 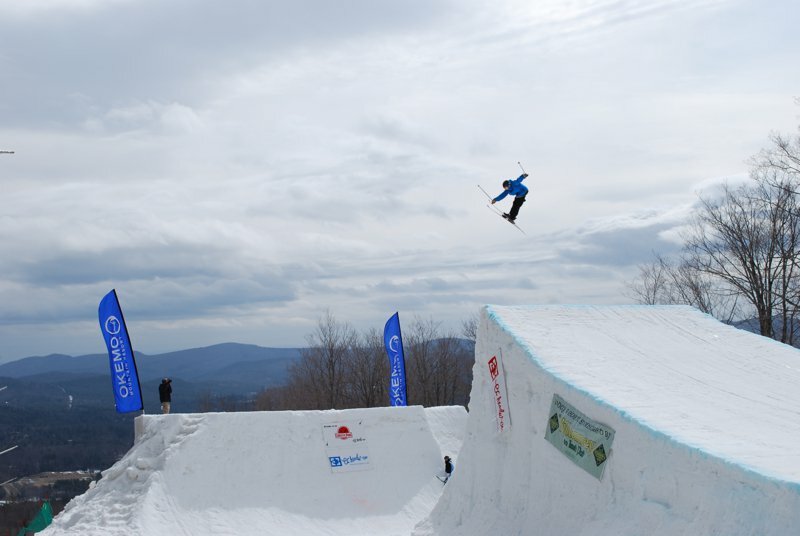 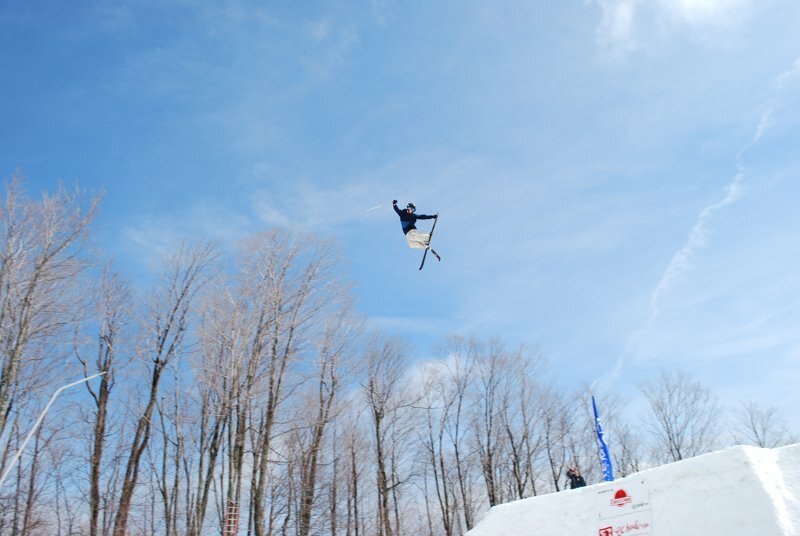 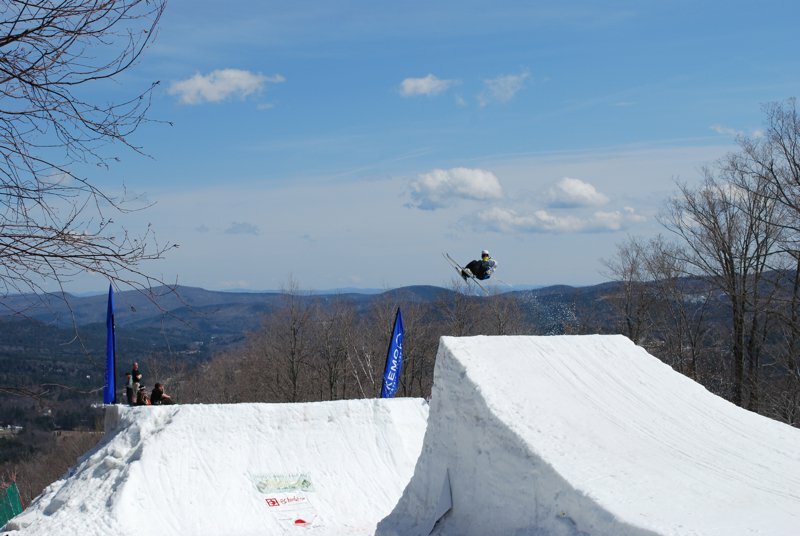 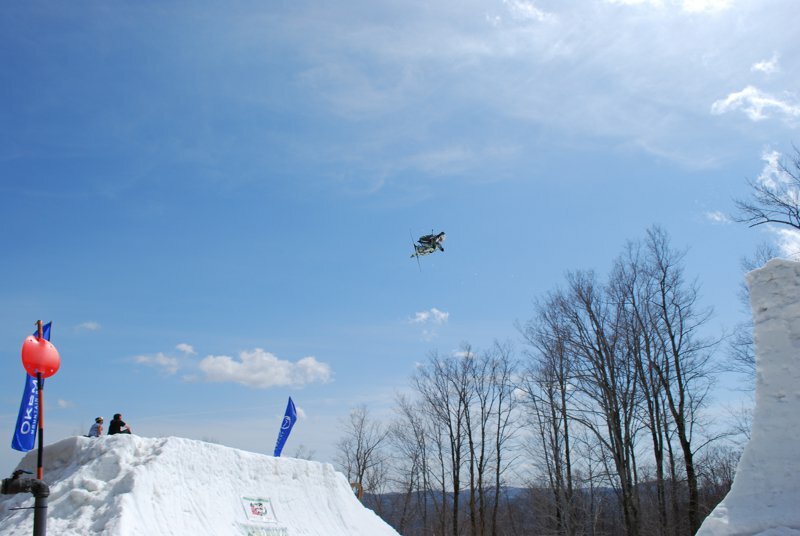 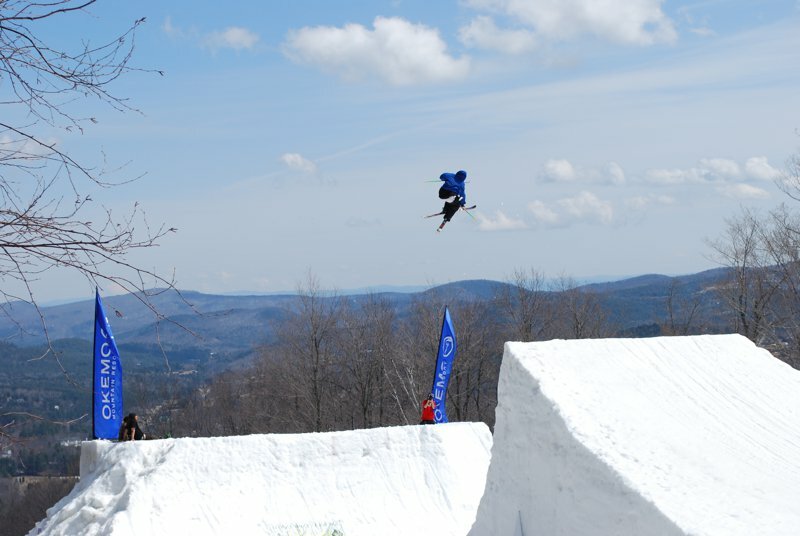 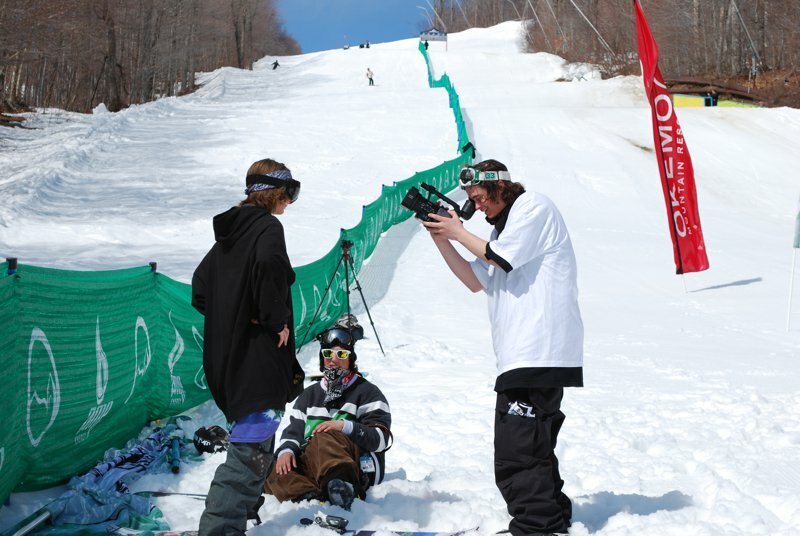 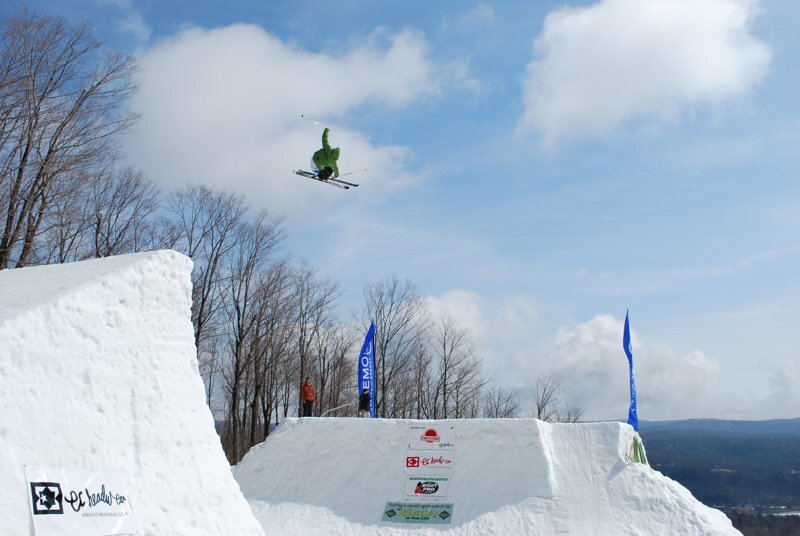 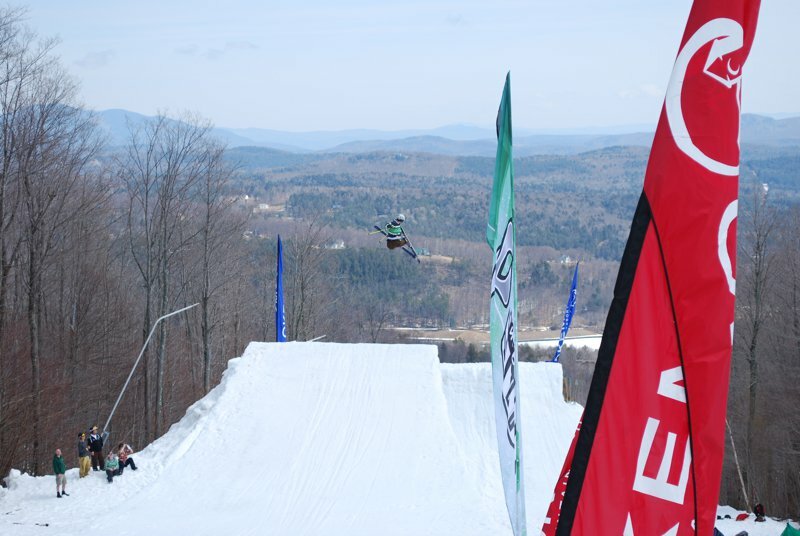 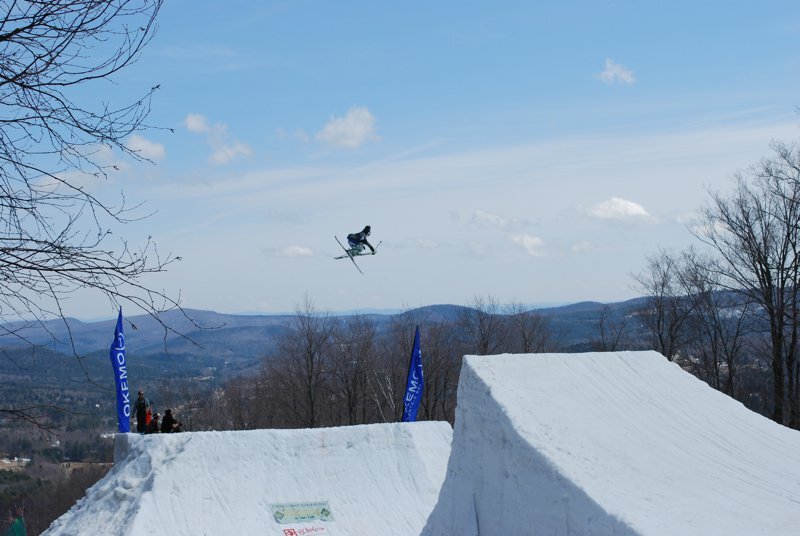 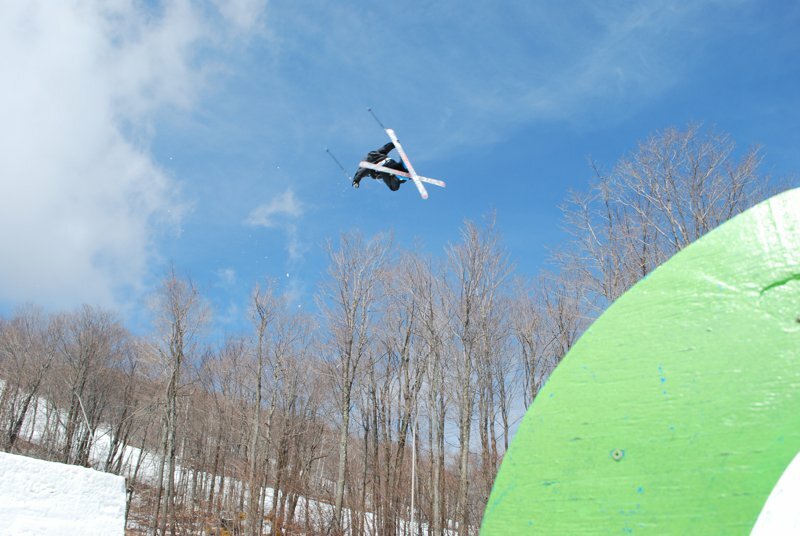 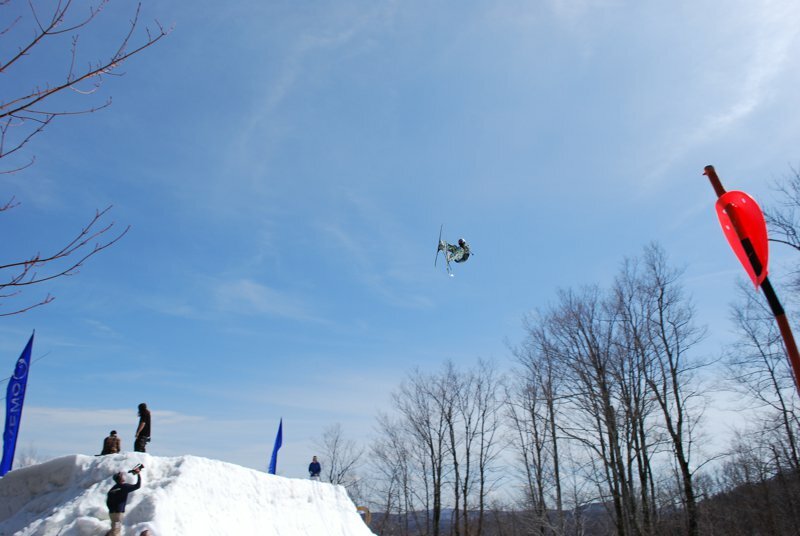 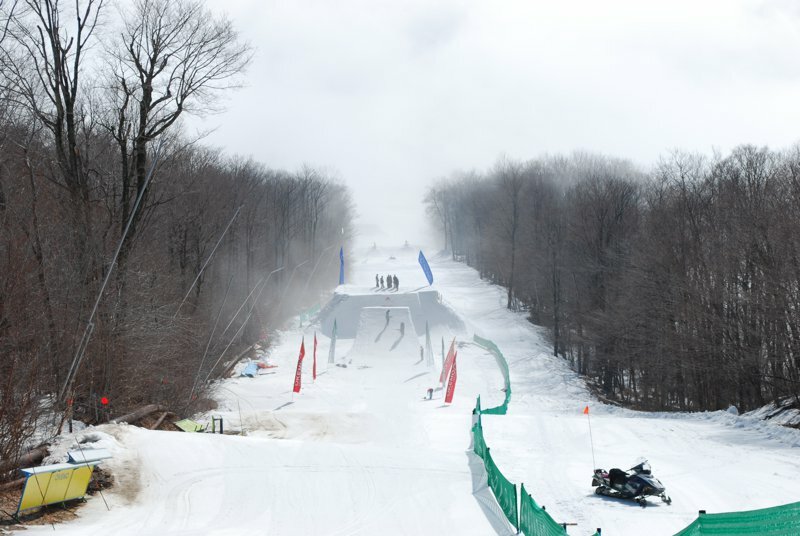 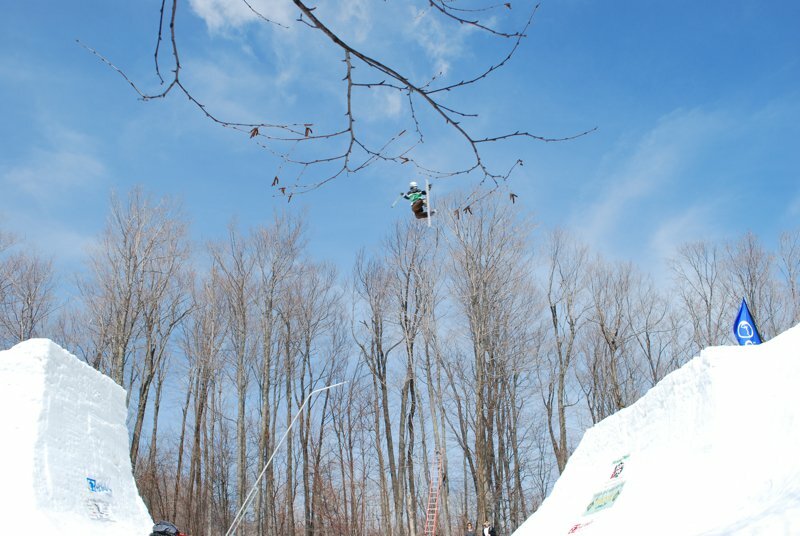 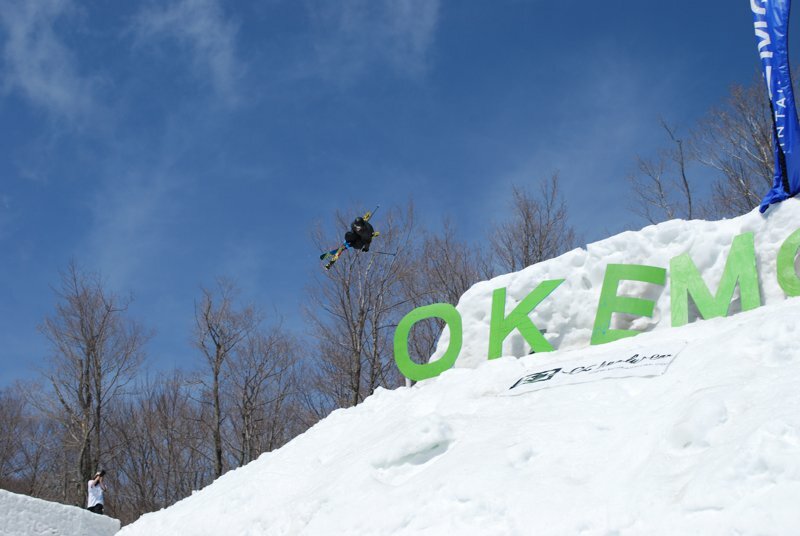 Some of you may remember, this event was called Okemo Spring Air Session last year? 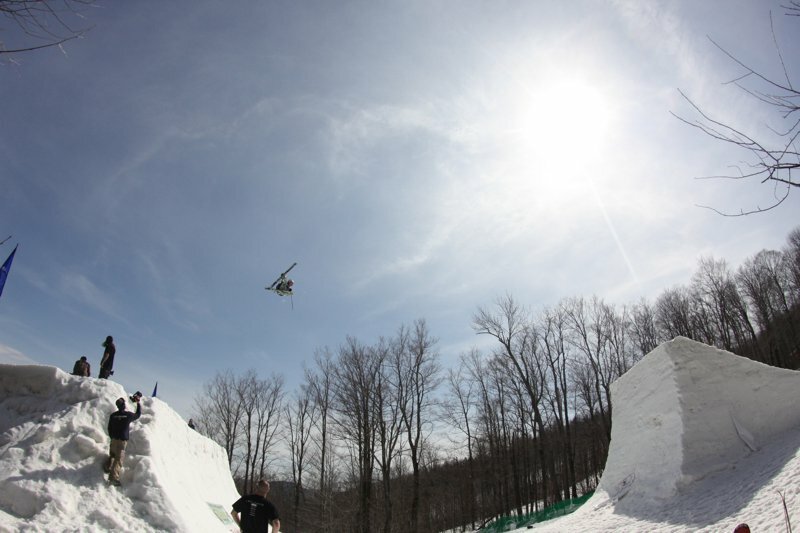 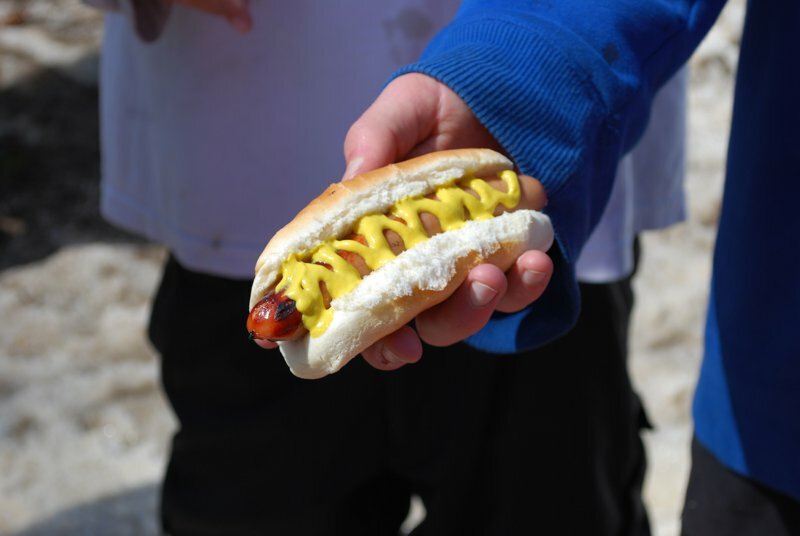 This year, EC got involved and it&rsquo;s not just the name that got cooler. 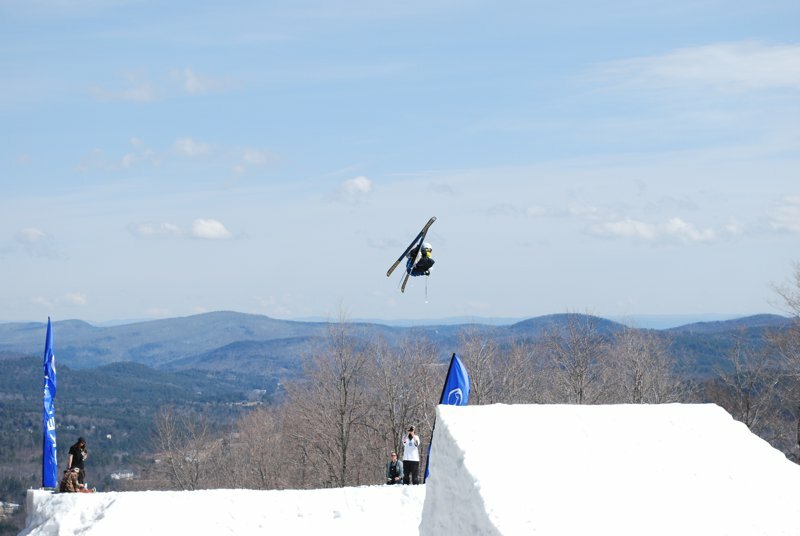 Just look at this &lsquo;stard job by Alex Buller. 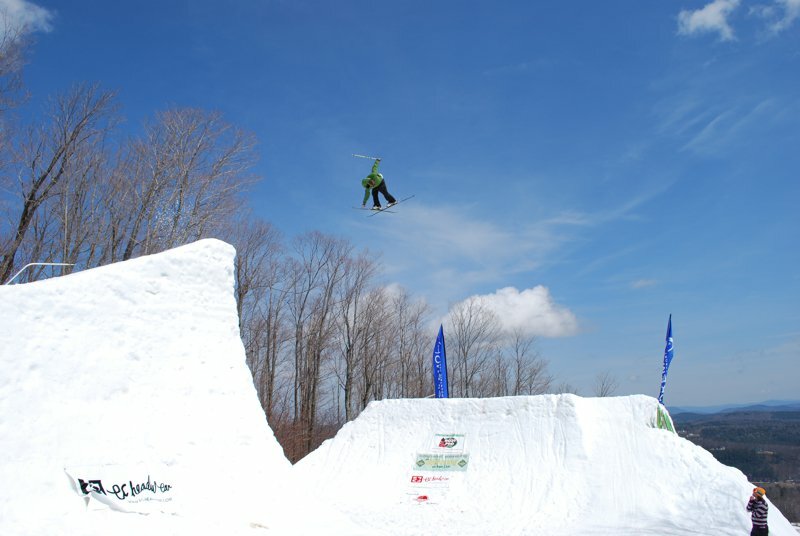 Peace Park is back and will come to the North East!